"Great for short, informal surveys"
Integration in slack makes it much more likely for our employees to complete surveys, because they don't have to click around everywhere. You can see results in comments in slack too- the whole integration is great. They have pretty good templates for surveys as well. We have taken a few and customized them for our own needs. Once a survey is sent, you don't have the option to change it or to even change the close date, so if something needs to be changed you have to go ahead and delete it, and then start over. An edit functionality would be great. We use polly and surveymonkey for different things because they have different strengths. Polly is great for short informal surveys/questions. Using polly for short informal surveys to gauge employee interest in various initiatives, like snack preferences or what book to read for a book club. Integration with slack means our developers don't have to click out of anything. Small time saver but makes a big difference in participation. "Polly is a great tool for short polls that need answers quick!" I like that Polly makes it easier to get answers to questions from the team easily through Slack. I use it all the time for work related tasks as well as silly polls in the office. Slack is already a great tool but using Polly with it really makes it that much better. Sometimes Polly is hard to create when you don't create it on the internet browser. I don't like creating it in the app because I'm worried about sending it incorrectly! But if you do it online, it is great. 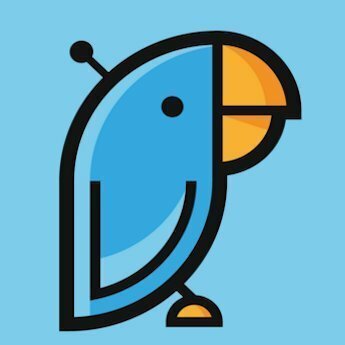 If you are looking for a way to communicate with your team in an easy to use poll, then Polly should be your choice with Slack! We are solving the problem of getting people to reply to things. Polly lets people quick vote for things and it saves us a ton of time instead of emailing people individually. "Excellent, intuitive polling software with lots of options "
It is difficult to edit polls once posted, and many times I've found myself having to completely rebuild a poll after finding a small error. Double check and triple check the polls you post! A single error will make you have to remake the entire poll! Easy polling, plain and simple! Things like deciding things for our lab, picking dates, etc. "Easy to use app for simple, streamlined polling"
I like the ability to do both anonymous and non-anonymous reviews. The ability to send the poll via direct message also comes in handy for polls that cross group channels. Scheduling of polls also helps with time management. Would like an option to make more dynamic polls - like slider bars or ranking options. This is really only for simple use cases - you're not going to reinvent the wheel or get a lot of complex problems solved here, but it's easy, quick, and fun. Avoiding email when quick responses to simple questions are needed. Keeps inboxes more streamlined and allows more people quick input on questions. Surveying and collecting poll is extremely simple and has a very user friendly web page. It has many advantages and many different features making the system a complete solution for our needs. Nothing really worth noting, app is extremely simple and does the job. I recommend Polly to others, it is extremely simple and meets the needs of a Slack user. The reminders features is also very valuable if you plan to have many polls running at once. We have many surveys that we like to collect using simple polls - Polly's integration with Slack is extremely seamless allowing ease of adaptability. I like the new UX where I can see all of the polls I have ever done. I wish that I could create a poll within slack, instead of having to do to it in an external browser. I would use it for smaller polls, not large form like needs. I poll people for how they liked lunch after each company catered meal, to decide where we are going to eat, and for silly things like "should x wear a unicorn onsie to work." "Does Exactly What We Need"
I like that Polly is simple to use so my team can quickly get the responses they need. I haven't really found anything that I don't like! We often need feedback from our students about what they want so Polly allows us to get a poll up instantly and get responses quickly. "Good poll service. A little ambiguous to set up"
"An excellent way to poll"
Nothing, really. I am glad that polly is simple to use. We can get everyone's opinion on a topic really quickly. "Polly is easy to use and integrated into Slack very well"
"Polly is great when integrated with Slack for polling group questions." It's easy to setup polls that can be customized for whatever my needs are. I haven't used it enough to find something I dislike yet. It makes it much easier to get the groups' opinion on questions. "A Slack Bot that provides poll/voting functionality"
Once the poll is up and running it's quite user friendly. We needed an easy way for the team to quickly vote on various items. This simple bot provided that functionality. "Awesome polling tool within slack"
Nothing on my mind for now. The tool is easy to use and great. * We monitor all Polly reviews to prevent fraudulent reviews and keep review quality high. We do not post reviews by company employees or direct competitors. Validated reviews require the user to submit a screenshot of the product containing their user ID, in order to verify a user is an actual user of the product. Hi there! Are you looking to implement a solution like Polly?